Rowlinson Garden Shed Shiplap Modular: Available in two sizes 6ft x 4ft and 8ft x 6ft. This shed has one styrene glazed fixed window window which can be positioned on either side of the shed. 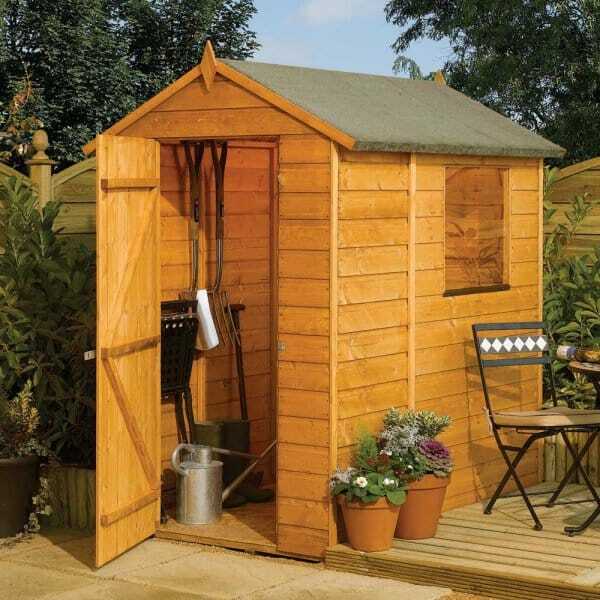 A simple but well-designed storage shed ideal for all garden shed storage purposes.